Compare to Uline S-7317 and Save! 8-10 Gallon Natural High Density Garbage Can Liners 24" x 24"
Use wherever the can liner will not be subjected to sharp, pointy or rough edges that may puncture the liner. 8-10 Gallon High Density Clear trash liners 24" x 24" are strong when used properly and handle higher load capacities than similar gauge Linear Low Density (LLDPE) trash liners at generally half the cost. 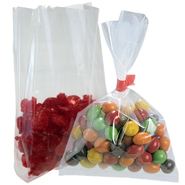 Use wherever the trash can liner bag will not be subjected to sharp, pointy or rough edges that may puncture the bag. 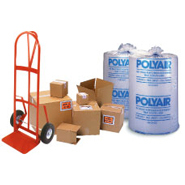 These high density 6 micron 8-10 Gallon garbage liners and can liners take up less space and are more portable due to the coreless roll packaging.